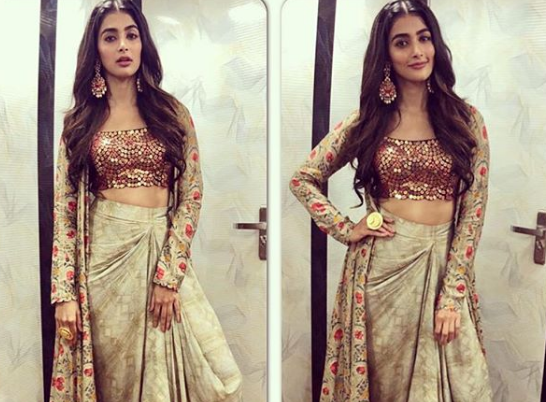 Are you a fan of the lovely Pooja Hegde? If yes, then get ready to rejoice as we have some awesome news in store for you. In an exciting development, the star just took to Instagram and shared her latest pics with her ‘followers’. In them, she can be seen in a graceful avatar that she carries off like a pro. Her regal expressions and confident body language gel with the look and up its recall value in a big way. That is how you make an impact. Interestingly, 2017 was a pretty good year for Pooja. In June, she made an emphatic comeback to Telugu cinema with Duvvada Jagannadham and gave her fans a reason to rejoice. The film was an action-comedy and also had Allu Arjun in the lead. An Eid release, it opened to a good response at the box office and received decent reviews along the way. While talking about it, she had said that DJ made her a better actor. “My first two films were traditional ones, so I wanted something new as compared to them. 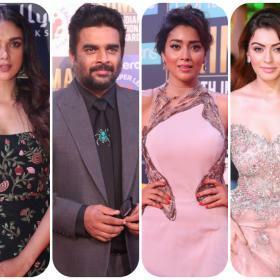 Then Harish narrated the story of this film; he said that it was a glamorous role. I also wanted to work with Allu Arjun since a long time — so everything came together with this film. The atmosphere was always jovial… not a single dull moment. Allu Arjun is a generous actor and always gives tips in dance and acting. I genuinely feel DJ made me a better actor,” she had told a leading news agency. At present, Pooja has Saakshyam in her kitty. A short while ago, she had said that she will be seen in a traditional avatar here. Other films in her kitty include Prabhas 20 and NTR 28.